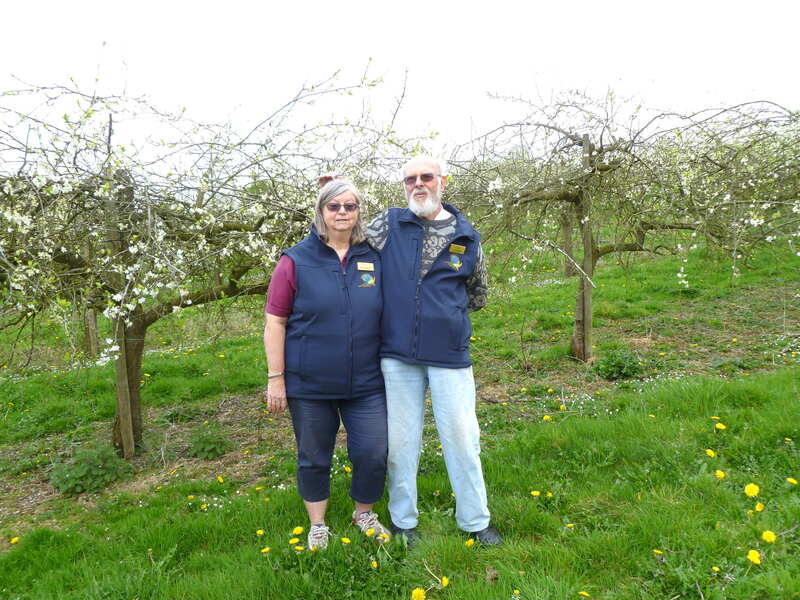 Monica and Colin Haworth are retired fruit growers in Cheshire, England. 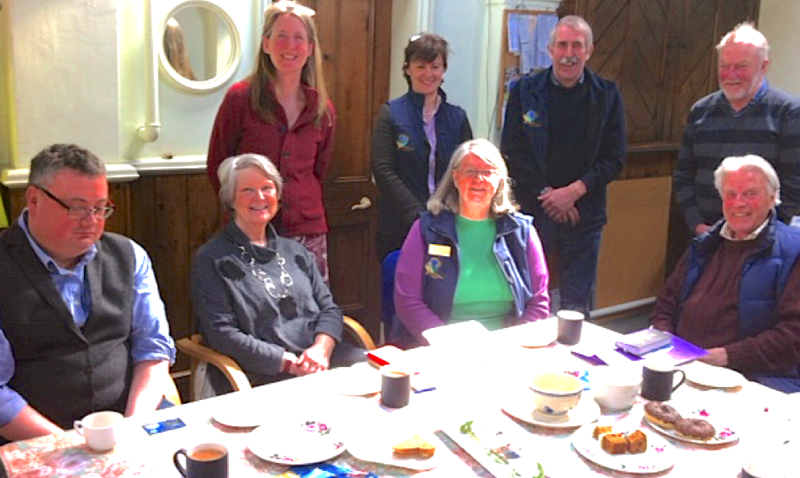 Monica joined the agricultural chaplaincy team in 2009 following the suicide of her eldest son. Part of her role is to support farming families who have been bereaved by suicide. Following the care offered by the team, in all the years they have worked with farmers, amazingly no farmer has gone on to harm themselves. This is remarkable when we consider how depressed some farmers have been. Monica says ‘Studying on a Pastoral Worker course run by our local Diocese, I have learnt skills in working as a volunteer in a team, one of which is in developing listening skills. I recently attended a “Listening in Attentive Silence,” course which I found powerful, as in the exercise I, the “speaker” knew that the “listener” should not interrupt and influence my train of thought. As a “listener” it gave me the opportunity to offer the situation to God in prayer. When the Haworths retired they sold their orchard to a young couple who continue to make and sell the apple juice at local farmers’ markets along with the apples in season. Now Colin (pictured left with John Heyworth) helps manage the orchards. 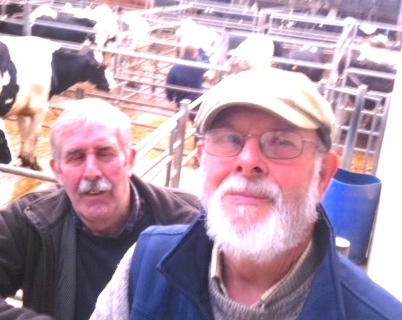 He joined the chaplaincy in January 2016 when they asked for volunteers to attend the weekly Cheshire cattle markets. He goes with his colleague John to be available to the farmers and to listen to their concerns, if any are depressed and in need of help. Cheshire Agricultural Chaplaincy is a registered charity started in 2000 by a man who had experienced the difficulties faced by farmers during and after the infectious foot and mouth epidemic. The team offers a free confidential 24/7 service providing a listening ear, practical help and care to the farming community, for as long as required in a non-judgmental way. There are various voluntary organizations of this kind supporting farmers up and down the UK.